More than almost any career, graphic design is about the marriage of creativity and functionality. Assuming you've got the tools of the trade, all you need is a tutor that can show you how to join the two. Enter the Ultimate Graphic Design Bundle, a pack of online courses that serve as a boot camp for aspiring or journeyman designers. The bundle comes with everything you need to know at every level of the trade, starting with a course on the fundamentals of color, layout, and photography. 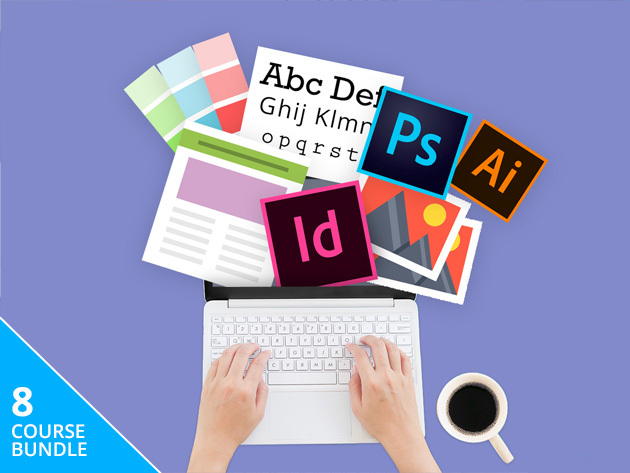 Then you'll learn to implement those concepts in Adobe's indispensable Photoshop, Illustrator and InDesign platforms with lessons that focus on painting, designing and creating in each. Later courses will spotlight the flashier (and potentially lucrative) aspects of design like logo design and kinetic typography. That's more than 30 hours of training in an 8-course package. Lifetime access to the Ultimate Graphic Design Bundle is currently $29.